SMN report: The Curtiss P-40B Warhawk is the 'long nose' version, as used in the early years of World War II. 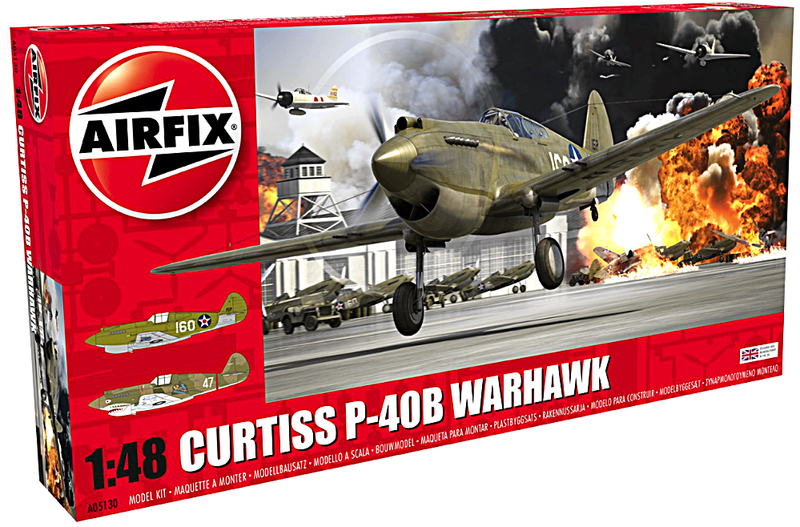 It's more than welcome to the expanding ranks of 1:48 scale aircraft from Airfix. 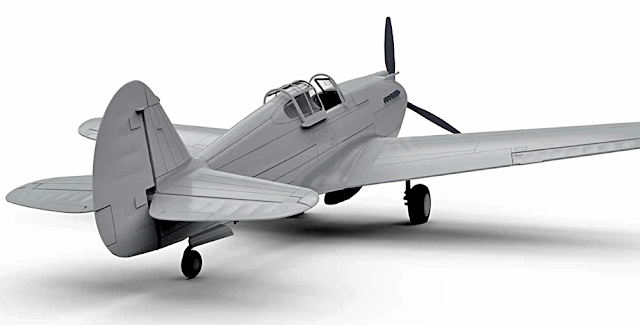 To our eyes, 1:48 is pretty much the ideal scale, as it's big enough to pack in the detail, yet not too humongously huge to crowd out display space - at least while a collection is young. Airfix cgi development pix (below) show there'll be plenty to enjoy with this Airfix P-40B. 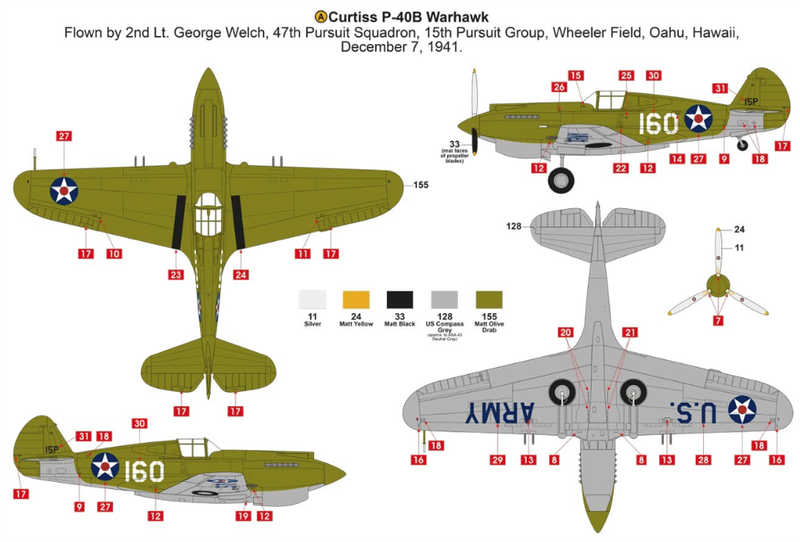 Attention to realistic rivet detail will be a plus, especially compared to the mushroom-sized bumps applied to P-40 models on sale during the 'golden age' of plastic kits in the 1950s and '60s. 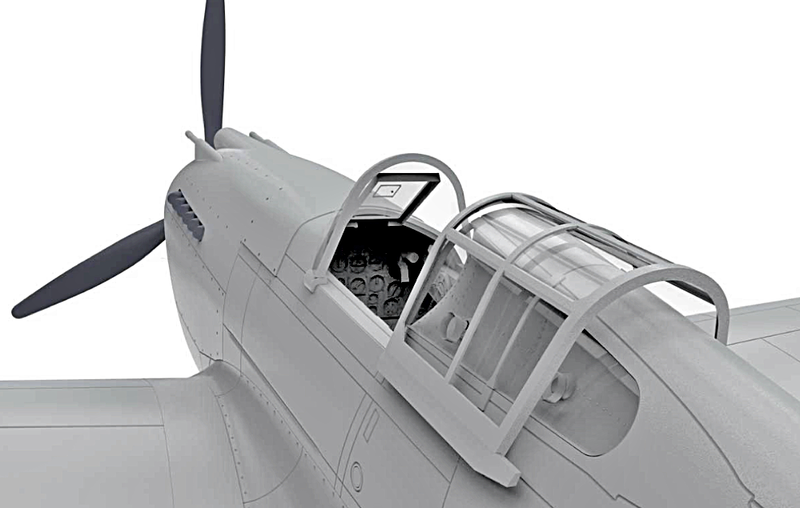 Interior cgi reveals a cockpit packed with enough bits and pieces to satisfy most detail freaks. 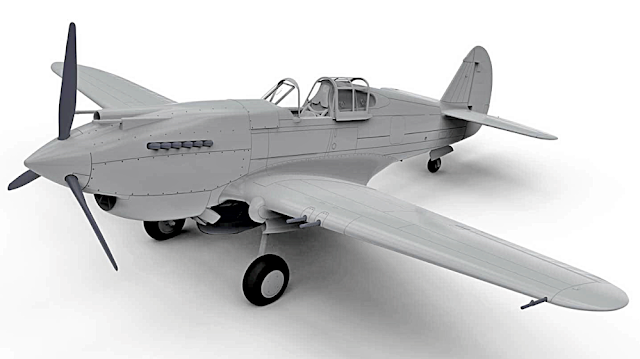 If you want even more, companies like Eduard are already on the ball with detail-up packs for the 1:48 scale P-40. Decals supplied with the Airfix P-40B kit allow completion in these markings (below). 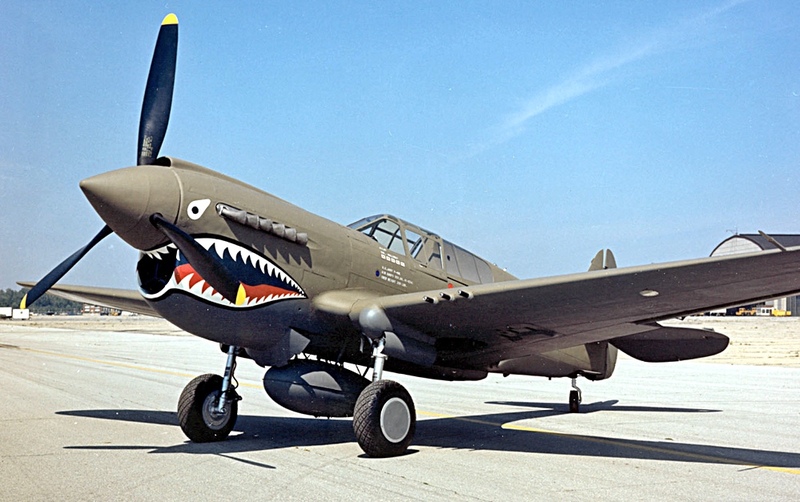 The later P-40E (below) was fitted with the Rolls-Royce Merlin engine. 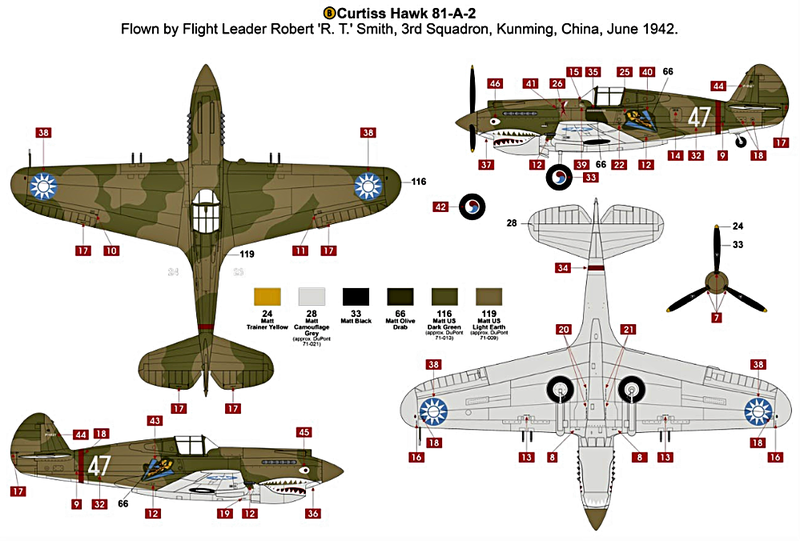 Extra guns and armour-plating completed the transformation to make a formidable fighting machine. 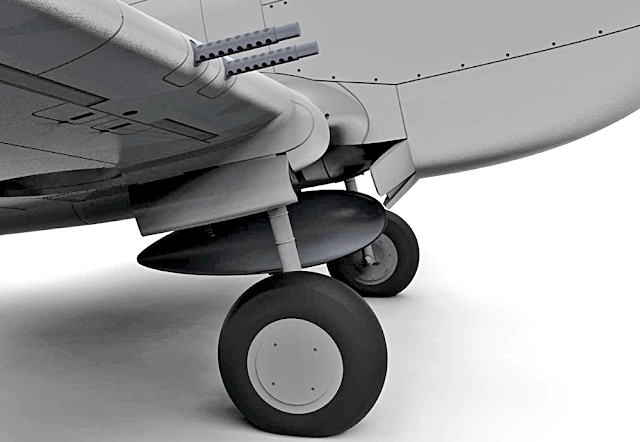 Rolls-Royce Merlin engine (below) revealed during restoration. Now sit back for some aerial action with this clip from the 2001 movie Pearl Harbor. Love interest aside, the film makes highly watchable viewing, with cgi sequences that are among the best of their kind.